When I was 18 years old my boyfriend (later to be husband) brought home a deck of Tarot cards to analytically study. 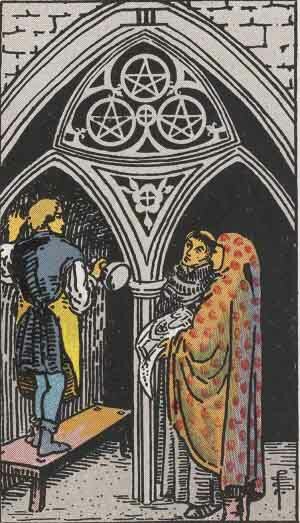 Within weeks of the cards being in our home they had become mine, and within months I was doing Readings for people. My first real Tarot Reading was for a friend of my sisters. She had come over and wanted me to read her cards. As I got out the little booklet that went with the deck she said “don’t use that, just tell me what you see”. So I did…My Reading was very accurate and I soon found myself Reading cards for friends and friends of friends. I couldn’t help but think though that perhaps I was getting the information because I had over heard it somewhere. I went on Reading like this for a couple of years, where the people who were coming to me were people who were part of a larger circle I already belonged to. As time went on that circle began to grow and I was starting to Read for people I knew I didn’t know anything about. When I was in my early 20’s I did my first Reading for a complete stranger. I was a designer and seamstress at the time and I was at a large festival selling my clothing. I loved making clothing (particularly costumes) but absolutely hated selling it. I hated it so much that I asked my husband to sell my stuff and I was going to see if I could do some Card Readings. So I made a quick sign out of cardboard and posted it on the side of my tent saying “Tarot Readings- $2″…thats right Two dollars. Within about 15 minutes of my first Reading I had a line of people who wanted Reading. Appearantly the recipients of my first couple had gone and told everyone they knew. After a few Readings I was changing the fee of my Readings to $15. I had so many people who were waiting in line to see me that the couple selling Asian food in the booth next to us fed everyone at our booth all weekend because they were getting so much business off the people waiting to see me. After my experience with Reading blind for the public I decided that I was ready to at least make it part of what I did for a living. I began doing Readings at a local store and often at small town fairs and music festivals. For years I put most of my effort into the clothes I was designing and making and kept my Tarot Reading as something I did on the side. Soon whenever I did my own Reading I was seeing the two of wands and knowing that I had to pick a path. The universe made it easy to see which path I was meant for as I started to notice after a few years that while doors were Opening around my Readings, doors were closing around my clothing. The places I did my Readings varied over the years, but most of my early years were spent doing small fairs and working out of local establishments. About 15 years or so ago I decided to step out into the big pond. I spent a few years doing the bigger Psychic fairs and pagan festivals. I thought when I went into them that I was going to be a small fish in a big pond, what I quickly found out was that even in the bigger venues I was not a small fish. Around this time I stopped saying I was doing “Tarot Readings” and replaced it with “Psychic Readings”. For what I found was there were a lot of people out there who could Read the Tarot, but but very few people who were truly Psychic….There is a difference. When I do a Reading I might be using the Tarot as a tool, but I am by no means giving general information. I see images in my head that are triggered by the symbolism of the Tarot, these images and the knowledge that I know when doing a Reading is very specific. I can see into the future and I can determine particular problems, where they are coming from and what can be done to avoid them. I dont tell people things like “Your having problems in a relationship”, I say “You are having problems with this particular person and this is what is happening. The problem comes from here and this is what you can do to rectify it” I see into peoples lives including their past, so that I can help them deal with past trauma. I can tell them how old they were when they experienced the trauma and what it is connected to. These things are not things you determine by simply being able to Read the Tarot. I have a lot of respect for people who have studied the Tarot and understand its complex and beautiful messages. However a person who is Psychic can Read anything, it doesn’t matter what they use for a tool. That being said, I love the Tarot. I love its beautiful pictures, I love the ease it puts people at as they see that the cards are telling me about them…when in reality it is them I am truly Reading. For years now I have taught the an introductory class on the Tarot in the spring. When I teach people to use the Tarot, I am first and foremost teaching them how to tap their own intuition. I have them first tell me what they see when they look at a card, before telling them what I see or what it says about it in a book. I believe we all are natually intuitive, we just need to open the door a bit. I will be teaching Intro to the Tarot in The first 4 Tuesday evenings in May. 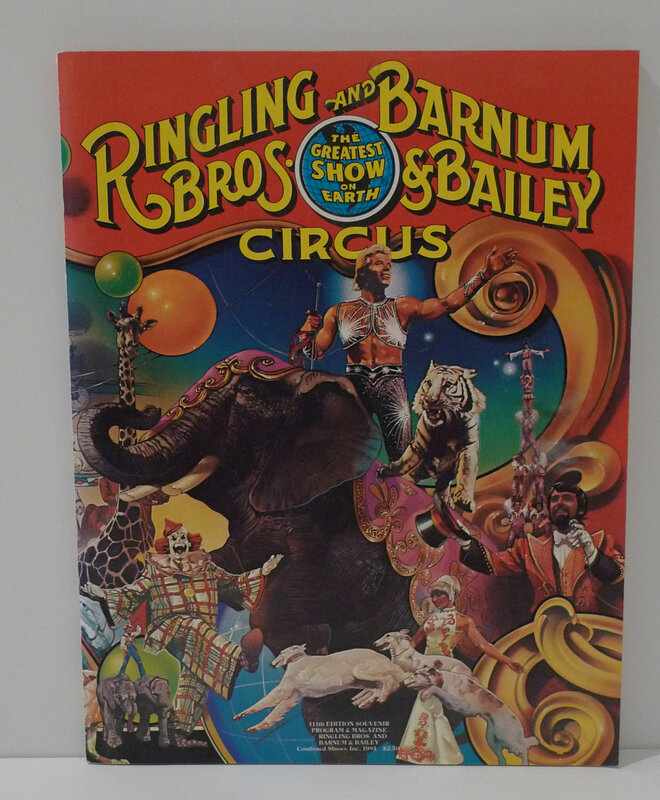 The summer before 6th grade I went to the Ringling Brothers and Barnum & Bailey Circus with my family including my Grammy Brown. I was really excited for the show and remember that I had a great time for the first half. About half way through the show I went to the bathroom with my Grandmother. At the time she was almost 81 years old. When we walked into the bathroom the floor was flooded. I remember looking at the water and getting really upset. My grandmother had a sore on her toe at the time that was not healing, she had to cut the toe area out of her sandle and wear it bandaged up. She was a little concerned about stepping carefully so she did not get her toe wet, but not worried or upset. I on the other hand felt sick. When I went back from the bathroom I hated the circus. I remember thinking that it was because one of the clowns came over and shook both my sisters hands, but didnt shake mine. The feeling of doom I felt was overwhelming and I really just wanted to leave. During the first year of training with the Green Mountain Druid Order we were doing a journey with water. Jouney work is a form of guided meditation. Druids do most of their journeying from a base camp or Grove. It is a sacred space which you create. My grove is very well developed and was actually started before my training. In my sacred grove places that are important to me are often combined such as peices of landscapes I love. Below is the journey I experienced with water. In the field of my spiritual grove Adam (one of my guides) is waiting for me. I go to the water as directed, the stream that flows by my spirit house. Up stream there is a pool from the Ammanousac, I play and swim in it. Then I travel down stream into a shadowed cove from the river at Zealand . As I enter the water there I am clothed and find the experience of floating interesting as I am wearing a flowing black dress. We are starting (being guided) to do the energy body meditation. I am trying to stay on task when I see my grandmother on the shore. She is old, but healthy in her blue flowered dress. I hug her and tell her I am suppose to stay on track, but she tells me she has something to show me. I come over and there is a deep pool by her. I enter it and begin to swirl around moving with the water…as water. I start to think it will take me nowhere when suddenly I am in the bathroom of the Civic Center in Portland, Maine with her. We are at the circus, in the bathroom and the floor is flooded. I realize that I knew she was going to die. My dread, my fear, my hatred of the Circus at that moment was because I saw her dying. Scrying is the art of seeing or viewing while gazing at a relective, translucent or luminescent object. This form of divination (Psychic viewing) often involves visions of the future, past and present. My first experience with scrying happened that summer when I was 11 years old, standing in the bathroom of the civic center in Portland, Maine. Because the things I viewed were so disturbing to me, my mind tricked me. I did not want to see my grandmother was going to be leaving me soon. I wanted her to live forever or at least long enough to be my childrens Grammy. As I gazed at the water on the floor I knew that her toe would never heal, and that she was dying. The dread I felt I superimposed onto such a petty thing as a clown not shaking my hand. The feeling of wanting to run away, to leave the circus was due to the fact that I did not want to see, know or feel the things that I was feeling. Journey work was a pivotal part of the Druid training, every individual gets something differant out of it. But for me it was a key ingredient to understanding many of the events that happened in my life. People are often curious about my childhood and how unusual it must have been growing up Psychic. The interesting thing is to a child, life is what you know of it. You don’t really start spending a lot of time wondering if other people do the same things as you until you are well into your school years. For me it was not weird or unusual as I grew up in a house with a sister who was also Psychic and my grandmother who presented it as perfectly normal. I never thought on my life as strange, or deferentiated between the ordinary things in my life and the not so ordinary. I believe that all children think deep thoughts, they just lack the volcabulary to express those thoughts to the adults around them. In general I believe children are more open to Psychic phenomenon unfortunately their insights are often shut down by adults and peers who write them off as make beleive. 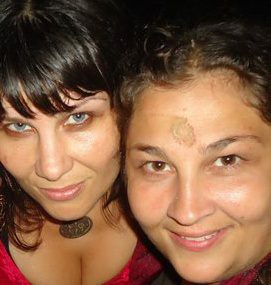 When I was a child my sister Sandy and I would sit in front of the mirror in our bedroom and talk to the people on the other side. This was not a childhood game of make believe, but an actual occurance. In fact sometimes we would even argue with the people who lived there. I have memories of these conversations from as early as 4 years old and lasting until I was about 8 or 9. As a child I never thought about who they were, I just know that they were familiar to me and I thought on them as friends. I now know that I was talking to myself as well as spirit guides. I came to the conclusion that I was having conversations with myself after a series of events that happened in my life. The first happened when I was 4. At the time we were living in a trailor. From the top bunk of my bed, I could look across the living room into the kitchen, one night I saw a witch standing in the kitchen. You are very likely to respond to that statement in a couple of ways…how did you know it was a witch & are you sure it wasn’t your childhood imagination? The answer to both is I just knew. I was not afraid of the Witch, as she simply stood in the kitchen watching me as I watched her. I was however surprised that my parents didn’t see her, as my father was in the living room and my mother was working in the kitchen. A big part of why I knew she was a real experience is because the memory never left me. Throughout my life I have thought of this experience more times then I can count. The second experience that led me to understanding that I had been visiting myself happened about 10 years ago. My sister Sandy and I were in her back yard. I was communicating with spirit for her when we both clearly heard my name being called from across the yard. This stopped both of us still . We agreed completely that the voice we heard calling my name was my own. There was no one in the yard, the kids were all inside and she had no near neighbors….we were completely alone, just us and the Spirits we were communing with. After this second major experience I really started putting some thought into the fact that at some point in my life I must have learned to communicate with myself through time. I learned this skill in my final year of my Druid training in October of 2010. In the second to last weekend of my 3 year course in Druidry with the Green Mountain Druid Order Ivan brought up the discussion of time travel. Now this was not time travel in the get in your Delorian kind of style, but in the sense of our human spirit doing the traveling. After he finished describing the excercise he told us we could either do this journey at home or in a group journey experience in which he would lead. I got really excited and shared how I had often felt that I must learn to time travel and about my experiences earlier in life. The rest of the group agreed that they too were interested in doing the exercise together. We lay down on blankets in the teepee and began to do journey work to meet with our selves. The goal was to engage in conversation with ourselves, in the future and the past…as well as changing our consciousness to that of our future self, and past self in order to communicate with our present self as well…basically becoming all sides/angles of our being. The first meeting was of my present with my future self. One of the most interesting things to me is that I always told myself “I love you”. My future, past and present all greeted each other with love. My future self told me things that I would do in my life, and things I must work on. Then I changed my consciousness to being in my future self and having my present self tell me something….this I thought was odd, because my present self said “ you are going to be sick for about 20 minutes”…I started thinking about how my body felt and what that meant, but we were soon onto another conversation. This time our present self with our child self. My child self told me that I had indeed been the “Witch in the kitchen”, and then showed me something that rocked my world. 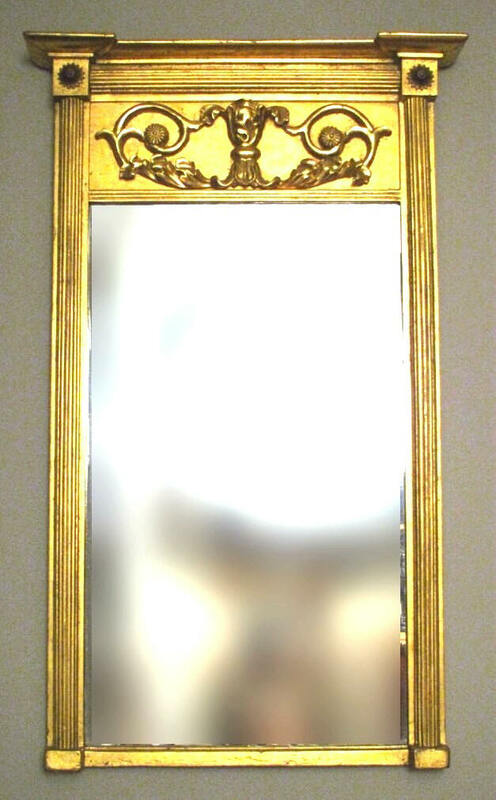 My child self went and sat down in front of the bedroom mirror, and there on the other side of the mirror clear as day was ME, as I look now. I was overcome at this point realizing that I had been communicating with myself when I was a child. As I was trying to wrap my mind around this my child self said “Why did you stop doing this?” It was made pretty clear to me that I needed to go back to doing mirror work. When all the conversations were done we were guided to hold hands with ourselves, and decide if we wanted to say goodbye or to bring the other sides of our consciousness into our present. I decided to bring my child self and my elder self into my present. When we were called back to ordinary consciousness Ivan asked if anyone needed rescue remedy (a bach flower essence to stabilize when your system is in shock), I said I did…took the essence and then lay on the ground. As I lay there unable to get off the ground, sobbing (something that happens to me when I have an energetic shift) feeling light headed and unstable…my words came back to me “You are going to be sick for about 20 minutes”. It was weird getting use to the visual shift, as I feel like I was looking at things through the eyes of a child from time to time with that lust for life and zest. I had many profound experiences in my Druid training, but the thing I think it most clearly gave me was an understanding of my self. Through journey work I have often revisited things that happened to me as a child so that I could understand what the experience actually was. My child’s mind could not wrap itself around the fact that I was talking to a future incarnation of itself. As an adult talking to my child self I was able to recognize myself, giving clearity to the experience. Life is an adventure that I am thankful to explore. Hope you enjoyed the Read folks. My mother was 15 years old when she had me & 16 when she had my sister Sandy. I do not have any memories of my life before Sandy came along. As children we were often dressed alike in matching outfits with only the color being differant. We have often talked about how we were suppose to be actual twins, but I was impatient and she likes to take the scenic route. Our parents were both young and wild, with our dad just getting back from Vietnam and our mother being a teenager. We moved around alot. I had moved 14 times by the time I was 9…I stopped counting then. We even lived in a campground for 3 or 4 months when my dad decided he didnt want to give money to the ‘Man’ anymore. At 5 when my sister Stahr was born & I started school we did get a little more settled, but only a little. We were always well taken care of- never went hungry or to school in rags, but our life was anything bur conventional. 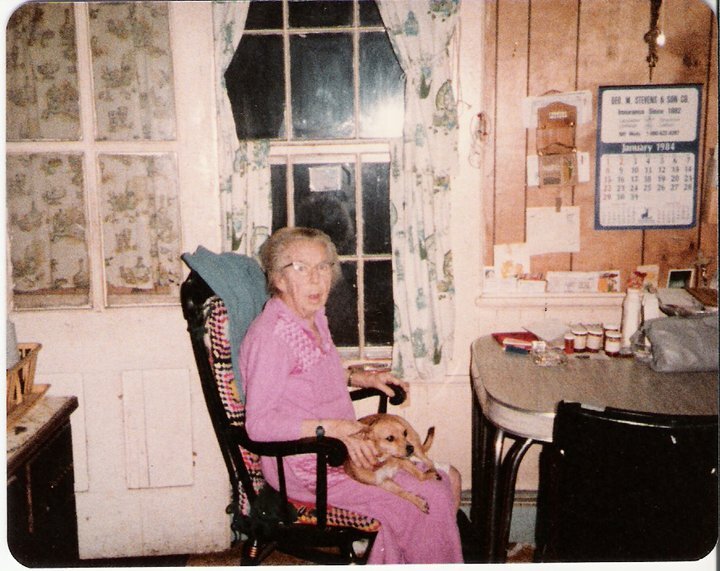 We spent a good portion of our lives growing up with Grammy Brown (my great grandmother). There is a special kind of magic that comes from walking this world with your twin. Our bond is one that often doesn’t need words, although if you know us you know that words are something we do not lack. I beleive we arranged this situation for ourselves before birth, making our journey as Psychics easier as we have someone who knows and understands completely what we are talking about. I am thankful for the blessings that the Universe bestowed upon me this lifetime…freedom to use my gifts without fear of prosecution and a companion for the road. I have had many other companions join me on this spiritual adventure, but its nice knowing someone has been there from the start. My father was raised by his grandmother, Florence Isoloa Brown or Grammy Brown as everyone called her. When I say everyone, I mean the whole town. She was an amazing women. Born in 1900 she raised her children by herself after leaving an abusive husband. She then turned around and raised my father and his brothers who were her grandchildren & in part had a great deal to do with raising me and my sisters who were her great grandchildren. Grammy Brown was a ‘Wise Women’. She was skilled with herbs and folk remedies and was a natural Medium. People came to see my grandmother for advice and to speak with their ancestors who had passed. From the time I was a very small child she would tell me “Spirits talk to you Sali, it’s OK”. It was said in the same casual manner in which you would comment on the color of someones eyes or hair…”You have Brown hair and Blue eyes Sali”. In this manner I was raised to think that Spirits communicating with me was just a part of life. The manner in which my gifts were developed were in great part due to the loving, playful way my grandmother intereacted with me. I was never taught anything directly. When I had my major breakthrough in ‘Spirit communication’ 10 years ago I discovered that the reason my Grammy Brown kept talking to me about Spirits was because my guide Peter had been telling her about me since the time my mother became pregnant & how I too would speak with the Beloved Dead. I spent a lot of time with Grammy Brown while I was growing up. She was my favorite person in the world and I clearly remember wondering if God would be mad at me that I loved her more then him. My time with her was often spent sitting around a table playing cards. She loved cards, Solitaire in particular. She would spend hours sitting and playing. As someone who uses cards as my preferred tool in Divination I often wonder if she too was using the cards for more then a game (I guess I should ask her). I know she used cards as a tool to help me develop my abilities. She would play games with me for hours. I remember playing Rummy and Memory games with her thinking she must be letting me win, because I was so good at it. Now I know from communicating with her that she was not letting me win, but helping me to develop my psychic gifts. Anyone who has played cards with me in a small setting when I am not interested in socializing will soon realize that I dont forget what has been placed down. In Memory games I will often have 90% of the cards….in Rummy I always win by points and it is usually a landslide win. My father has often joked about taking me to Reno or Vegas. The only problem there is I am too public of a figure as a Psychic…so I would most likely be escorted out of the establishment by Vinny or Guito. When Grammy Brown died I was 12 years old and had never heard the word “Psychic” before. It wasn’t until I was 13 and read ‘The Dead Zone” by Stephen King that I came in contact with that word. I remember reading it and thinking I do not want my gifts to open like that…suddenly and overwhelmingly. I believe I was telling the universe what I was willing to do and what I wasn’t. By the time I was a teenager I knew that my gut feelings were more then just a hunch & had a great interest in actively engaging with those who had passed over. I am so thankful to this day that I was born into a family who taught me to embrace my gifts and be thankful for them.